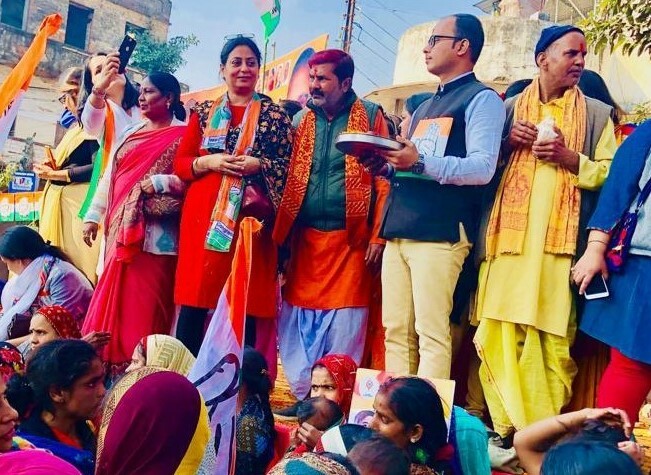 Edited By Adam Rizvi, Lucknow, Feb 11: Amid swelling crowds and fluttering Congress flags, Congress president Rahul Gandhi, standing alongside sister Priyanka, began his speech with “Chowkidar chor hai” chants (A slang he uses to indicate that the PM Narendra Modi has swindled public money). He said Uttar Pradesh is the heart of the nation and the Congress will not rest easy till it has a government in the state. He further said that he has made Priyanka and Jyotiraditya Scindia, the general secretaries for east and west UP respectively for the same. Priyanka is yet to make her first political speech. Earlier Congress General Secretary for Uttar Pradesh East Priyanka Gandhi Vadra and Congress President Rahul Gandhi pay floral tribute to Sardar Vallabhbhai Patel. Priyanka Gandhi is likely to go to Jaipur in Rajasthan on Monday evening to meet her husband Robert Vadra and is expected to return to UP by Tuesday. 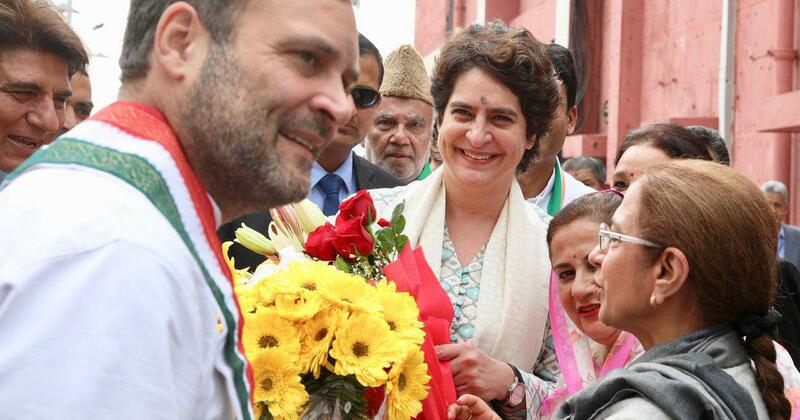 The awareness of Priyank and Rahul Gandhi is just there, where it wasn’t before … the crowd wasn’t going away the chances and surety of Rahul are much much far greater. 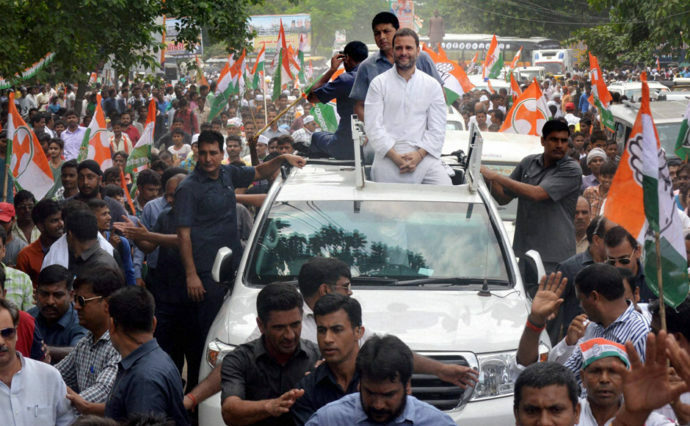 One could see and say that Rahul has a much higher profile than he did a few years ago. But at the same time, there’s no more room” for any other progressive candidates to run or seen. 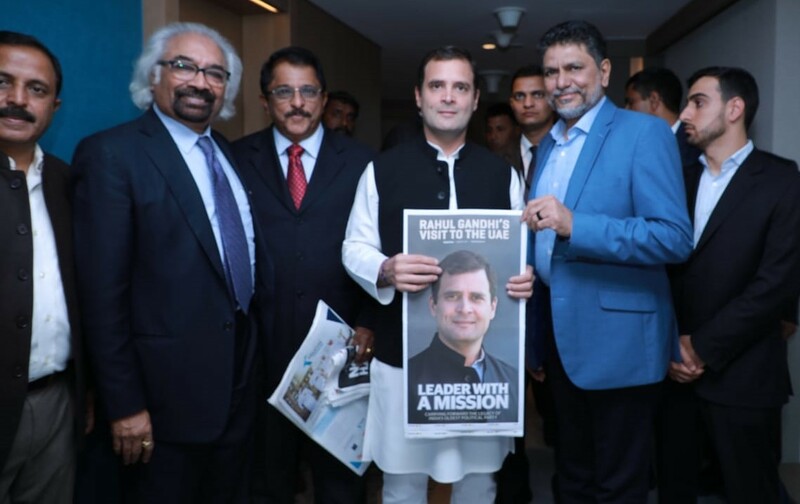 In recent months, he has expanded his tour and focus on foreign policy and met NRIs too—articulating his brand of progressivism not only as a domestic matter but as a vehicle to counter authoritarianism abroad as it was seen during his recent visit to UAE along with Sam Pitroda a friend of late Rajiv Gandhi who had played a key role in the IT sector of India.